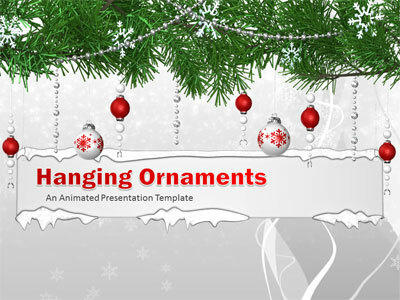 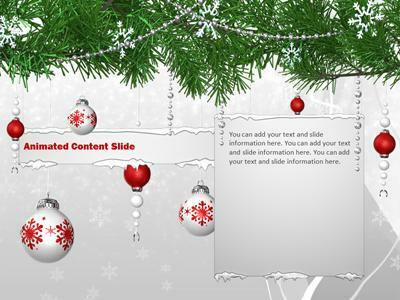 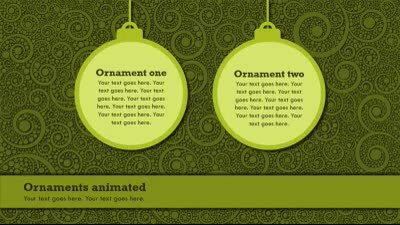 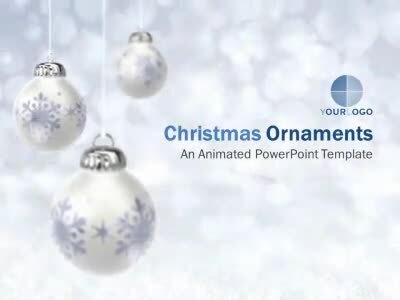 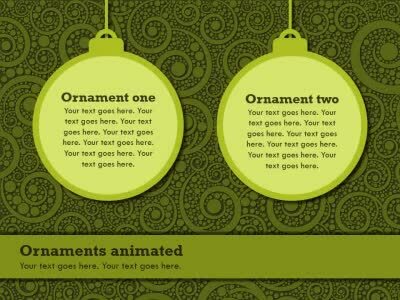 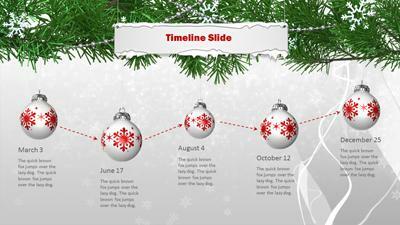 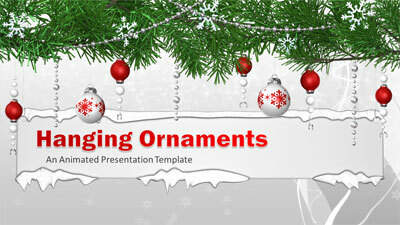 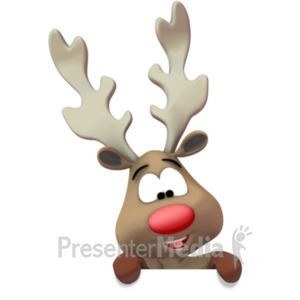 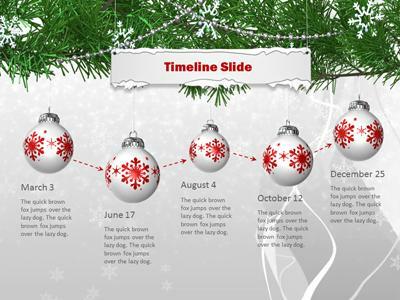 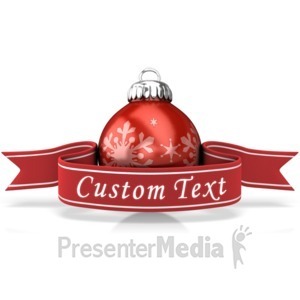 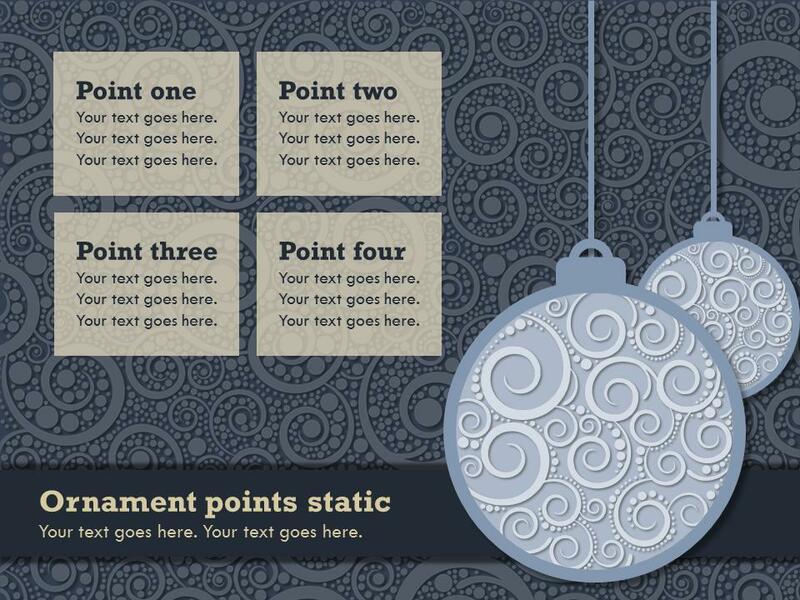 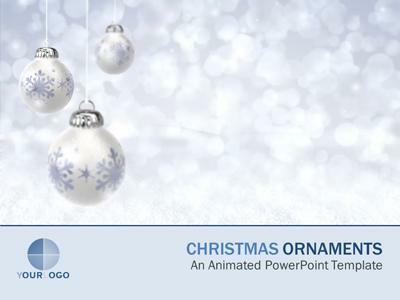 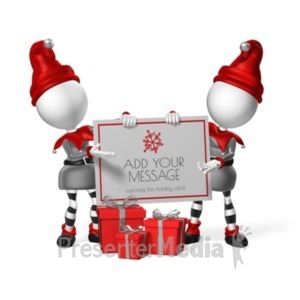 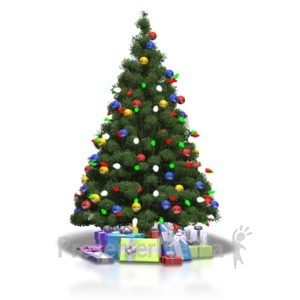 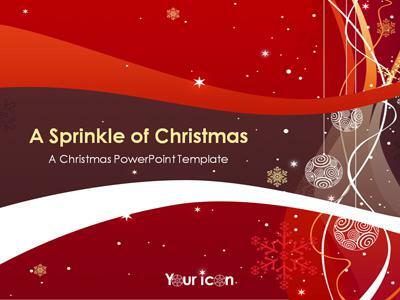 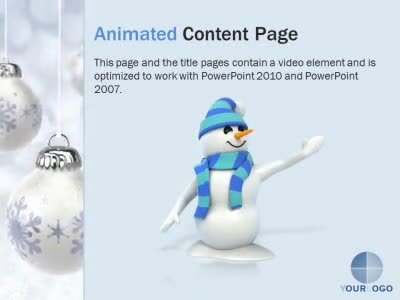 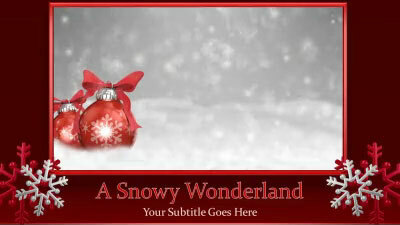 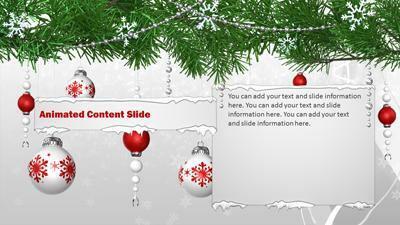 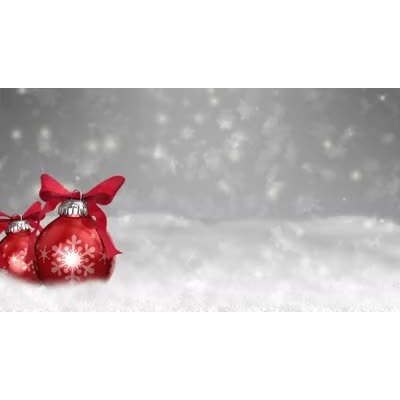 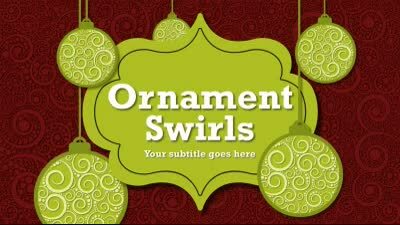 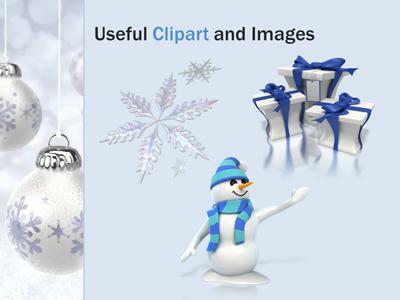 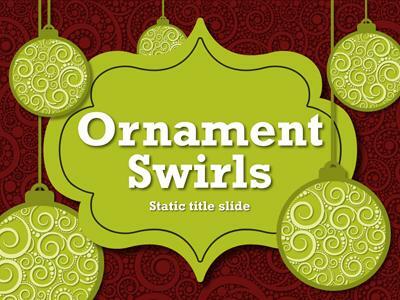 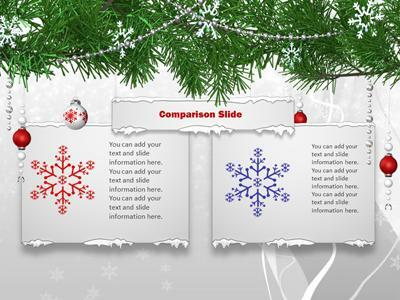 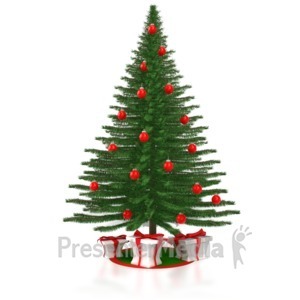 A festive PPT template for Christmas. 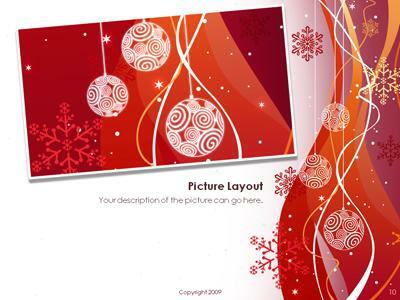 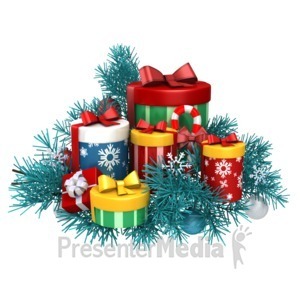 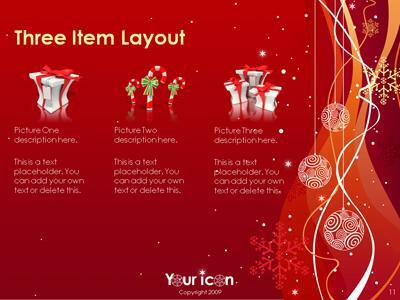 Red background with stylized Christmas ornaments and snowflakes. 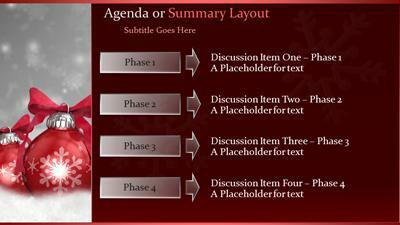 This template also includes theme matching graphs, charts, PowerPoint SmartArt along with several alternate layouts.